We stumbled across some fun, fun kids books lately that I wanted to share before I forgot about them! 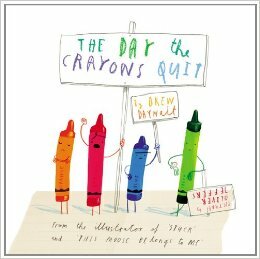 The Day the Crayons Quit: This book is a series of letters from all the crayons in Duncan’s box. All Duncan wants to do is color his picture, but his crayons want to lodge their complaints first. We had a blast with this book, giving all the crayons different voices and talking about why each crayon may feel a little slighted. Loved it! 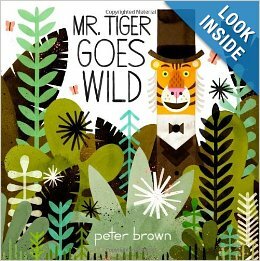 The Day Mr. Tiger Goes Wild: An absolutely gorgeously illustrated book about breaking the rules and being true to yourself. The kids were mesmerized with the pictures and the story- I think we read it every night we had it from the library. 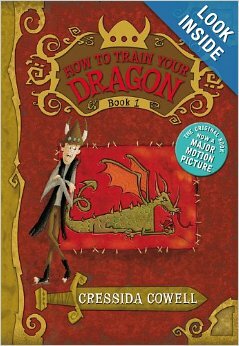 How to Train Your Dragon: Ever since we put the breaks on reading the Harry Potter series, I’ve struggled to find a series we could love as much. We got these books for Christmas and I wasn’t too enthusiastic about them as we had already seen (and liked) the movie by the same name. Seemed a little repetitive to read the book, but we gave it a shot- and haven’t put them down yet. While the character names are the same, the plot is very different from the movie. These books are hysterical and suspenseful and a little scary and written so well that I’m loving them just as much as Scorch is! Bean listens in, but I think she’s still a tad too young to really enjoy them but I’m so glad we gave this series a chance! Since Christmas we’ve blown through book 1 and are 3/4th of the way done with book 2! Adorable, right? I’m having a hard time finding shorter books that entertain both my kids, so this one was a treat!